5 Ways To Achieve The Perfect Sleep Retreat! The main purpose of a bedroom is for sleeping, yet statistics from the Great British Bedtime Report 2017 revealed that nearly 75% of us got less than seven hours of Zs per night. With The Sleep Council recommending between seven and nine hours for adults, this figure is concerning. It has been found that those who sleep in rooms painted blue tend to snooze longer, as well as having reduced blood pressure. This is because blue is associated with a feeling of serenity. Other cooling colours can also help boost a soothing mood. Relaxing shades of greys, silvers and neutrals have been found to lower blood pressure and heart rate too. By opting for various calming colours for your décor and soft furnishings – from silver hand-painted furniture to lightly toned wood grains – you’ll be well on your way to a peaceful night’s slumber. 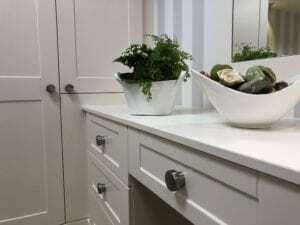 Clutter has a negative effect on our lives: possessions that block your path will make simple tasks difficult, triggering a stress response – especially if you have old items that are associated with unpleasant events. You can combat this by having a spring clean, no matter the time of the year. This will make the bedroom cleaner, calmer and less cluttered. If you are struggling to create space, fitted bedroom furniture, especially wardrobes, are ideal. They don’t just improve accessibility around the room, they also help to enhance it visually. When you next enter your bedroom, you won’t be preoccupied with mess, and will find it easier to nod off. This is a great solution for anyone struggling to get their recommended level of shut-eye. The purpose of feng shui is to design a harmonious environment by assessing the influences of the physical landscape, space, time and orientation. This can be done in a number of ways; simply placing the bed so that it’s not in line with the door, but so that you can still see it, will lessen a feeling of vulnerability. You can also use accessories to nourish the senses, mixing bespoke furniture in neutral shades with soft fabrics, like velvet and satin. Egyptian cottons are a particularly good choice for sheets, pillows and curtains. Placing some greenery in your bedroom has been found to have numerous benefits. Because they release oxygen and absorb carbon dioxide, they can help to purify the air in the room. They also remove volatile organic compounds, such as those that are produced by plastic bags and other usual household objects. On top of this, plants offer wellbeing benefits. Studies have revealed that they lessen stress, speed up the recovery time for certain health conditions, and improve focus. Fresh flowers on a dressing table are sure to help you unwind after a long day. In the same report, it was found that 13% of people who got a bad night’s sleep believed it was due to having an uncomfortable bed. Memory foam mattresses can relieve body stresses, muscle pains and aches. The type of pillow you should choose depends on your sleep position, but it will need to tuck into the neck and shoulder area to effectively support your head. You should also consider temperature and lighting. For adults, a room above 24°C can produce restlessness, whereas below 12°C can result in trouble sleeping. For lighting, absolute darkness is always best – a bright room makes our bodies think it’s time to wake up. To stop light from sneaking in, perhaps purchase some blackout blinds or an eye mask. These five practices can easily increase your chances of getting some much-needed sleep. 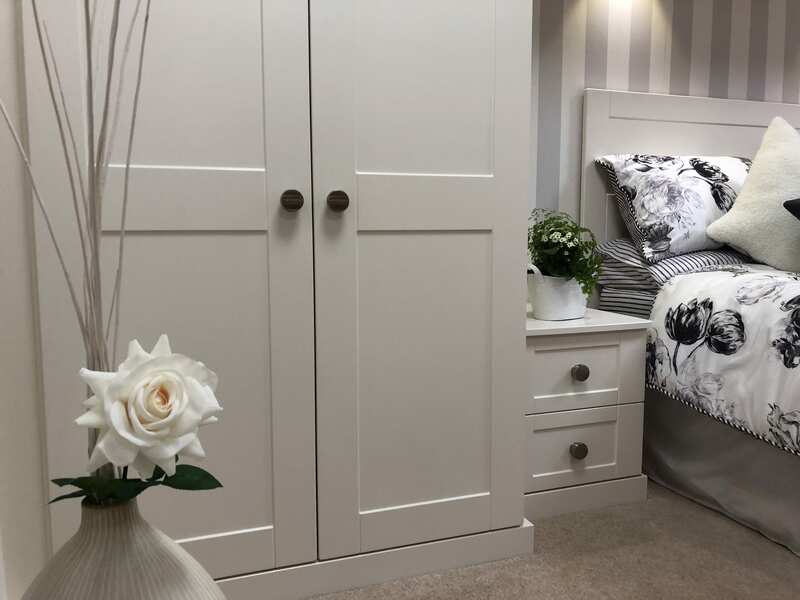 If you need any help crafting a perfect retreat by creating more space using fitted bedroom furniture, or changing your room’s decor with bespoke furniture, then please contact our team at Hartleys. Take a look at our brochure for more inspiration, or see our furniture for yourself by visiting our Skipton showroom.